Calm your baby with selection of white noises, classic lullabies or peaceful nature or household sounds. Set how long the relaxing melody should play or use the magical smart timer and Baby Dreambox will do the rest. Sing your favourite lullaby or record a fairy tale, and your baby can fall asleep listening it every night. 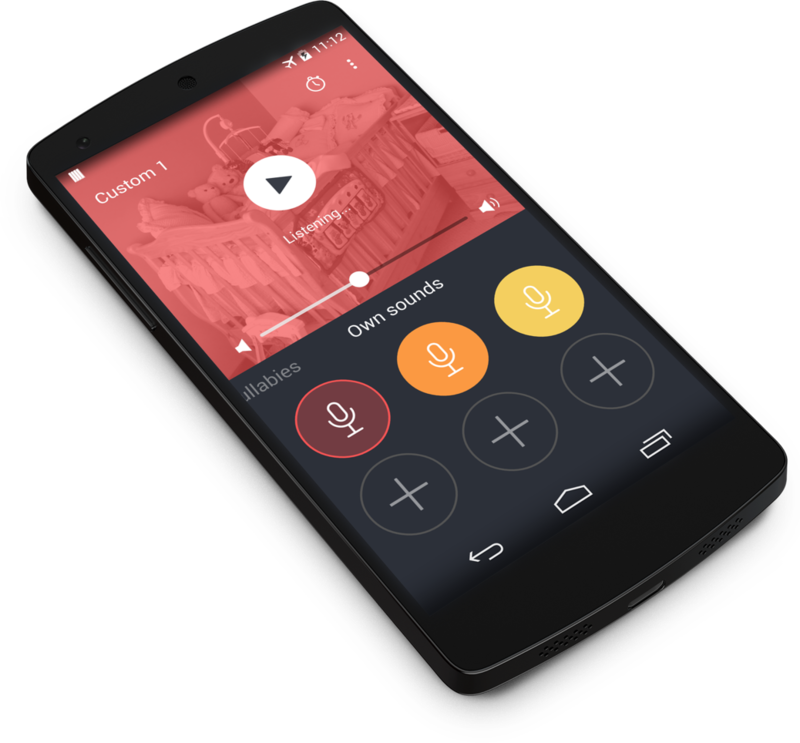 You can store up to 6 custom sounds. Baby Dreambox was carefully designed to and tested on our own babies to help you and your little one get more sleep. Just like you’re soothing your baby by singing a song until it falls asleep, the Baby Dreambox’s smart timer listens to your baby and plays the soothing melody only when it’s awake. As soon as your little one starts dreaming, the sound is gently stopped, and started again if needed. It means that the melody doesn’t have to play all night long. Want to simply stop the relaxing sound after 20 minutes? That’s where the Regular timer kicks in. With more that 20 different highest quality soothing melodies and loops, you’ll definitely find one that your little one will love to fall asleep to. 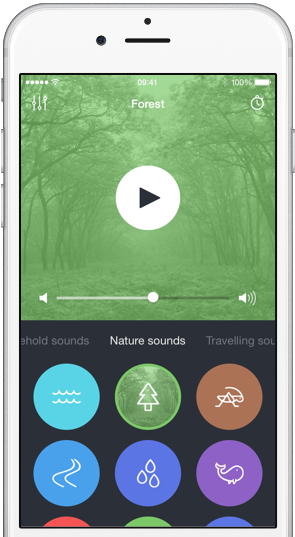 Choose between classic lullabies, nature, household or travelling sounds and color noises of various frequencies.